The news that Cinderella will make another appearance is exciting for all little Girls–and Big Girls like me. I’m a Musical Theater fanatic and Rogers & Hammerstein are at the top of my list of 20th century musical theater composers. Another opportunity to hear their musical genius is much anticipated. FYI: my Granddaughters are taking Dad to the Cinderella movie for his birthday. They learned that trick (make gifts do double duty) from their Mormor. It’s a bit of a stretch to translate musical theater, Cinderella and costumes into a sewing blog. You don’t need to be a costumer to appreciate and learn from the costumes for this production. One idea I am taking away is the use of multiple layers of color to create just the Right color. How about you? Are there any ‘AHA’ moments here to inspire your sewing? 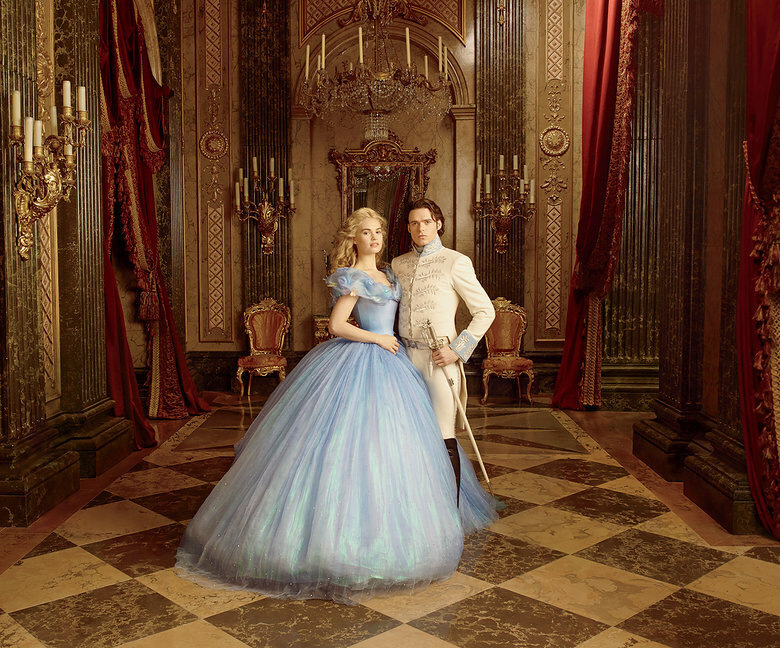 Read about and view the costumes for the new Disney Cinderella at Oscar-winning costume designer Sandy Powell reinvents the glass-slipper splendor of Cinderella. The photographer was able to convey the volume and iridescence of the dozen or more layers of sheer silk in shades of pale blue, turquoise and lavender. Lily James (Rose in Downton Abbey) comments, “When I first put it on, I felt both empowered and scared..” Sandy Powell’s designs provide the actor the necessary tools to portray their character. 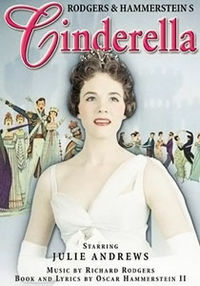 The original Cinderella was the only musical written for television by Rogers and Hammerstein and aired by CBS on March 31, 1957, preempting Ed Sullivan’s Sunday night TV spot. It was filmed live with the orchestra off in a small room and the surviving film is in black and white as color recording was not available. A DVD of dubious quality is available but worth viewing for the appearance of 19 year old Julie Andrews who was in NY making her first American appearance in My Fair Lady, and, of course, the original Rogers and Hammerstein score. This entry was posted in FIBER FASHION FUN and tagged Cinderella, costumes, Julie Andrews, Lily James, Rogers and Hammerstein, Sandy Powell. Bookmark the permalink.